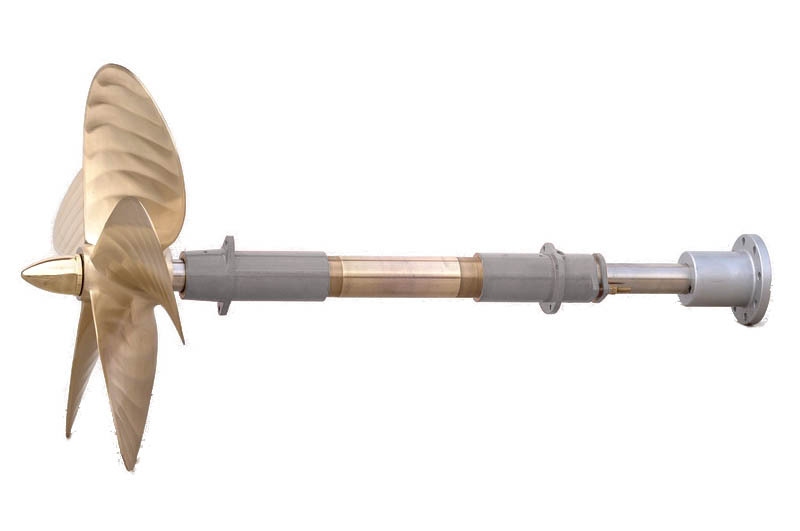 Home » Tony’s Tips » Articles » Repowering your Boat » So what do all those propeller shaft numbers really mean? 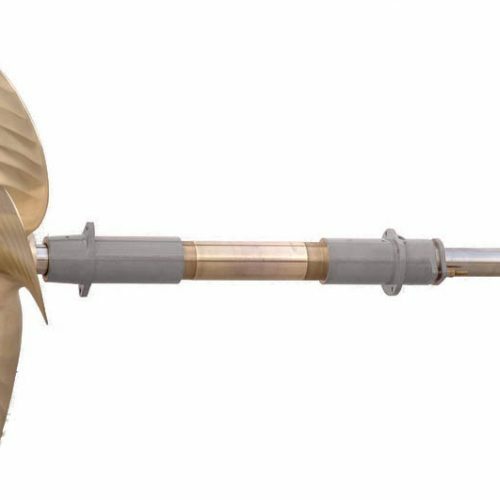 If you go back about 30 years, there was a very popular product on the market called “Sealoy” that became the alloy of choice for propeller shafting (kind of like “Kleenex”). Armco Corp. bought the trade name and rights to manufacture this particular high grade of stainless shafting and renamed it “Aquamet 19.” Since then “Crucible” bought Armco(or (?) whatever it’s called) and presently owns the trademark and proprietary manufacturing rights to this alloy. Also, way back, besides Aquamet 19 alloys with those particular properties, they also marketed Aquamet 17 (basically a 17-4 PH stainless), Aquamet 18 (I think this was a low grade/cost marketing failure) and Aquamet 22. From all the reading I’ve done, the best I can ascertain is that Aquamet 19 is a nitrogen strengthened 304 stainless with a few additional “secrets” put into it, and Aquamet 22 is a nitrogen strengthened 316 stainless, again with added super-secrets. Aquamet 17 is their highest strength alloy, but it does not have the corrosion resistance needed for some applications. Many companies have jumped on the bandwagon over the years and used names like Aquatec 19, Aqualoy 19, Nautaloy 19, Aquashaft 19,(all of them sometimes now just called “19” alloy) etc., etc., etc. …..These other companies all have brochures suggesting and comparing their products to Crucible’s ‘Aquamet’ line. From personal experience I can tell you that (from strictly a machinist’s point of view) the original Sealoy or Aquamet 19 always proved to be more of a challenge for my tooling when cutting keyways and threads than the newer copy-cats like Aquatec 19 which I’ve used just about exclusively for the past 10 years. There were many reasons for my shop switching to Aquatec and obviously, cost was one of them. Whether or not the slightly easier machining for Aquatec alloys translates into decreased overall longevity due to strength and/or corrosion resistance, I cannot answer. But I can tell you this with reasonable certainty……most all shaft failures I’ve seen can be traced to many reasons: a propeller coming loose on the shaft; a propeller installed incorrectly on the shaft; a shaft overhang past the rear strut bearing that caused excess reaction forces; too large a propeller in relation to shaft diameter; too small of a shaft in relation to HP and/or prop size; or the boat/propeller/shaft striking an object. Of course, one could say that w/ 22-grade material that possibly some of these failures would not have occurred, but I’m not going to argue that point. Also, one the big claims to 22-grade shafting other than strength is the resistance to crevice corrosion when sittings still inside shaft logs, rubber bearings, etc., for a long time. But again, someone has to way these potential benefits against the increase in cost (typically about 50%) for this alloy. Personally I’d put my $$ elsewhere and use slightly larger shafting if I was putting together a boat and was on the borderline as to strength.